April 26, 2003 Rosemary Brown, the first black woman in Canada to be elected to public office, died. Brown was born May 17, 1930 in Kingston, Jamaica and moved to Canada to attend McGill University. 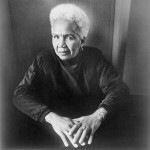 During the 1960s, she worked in social work for various organizations in Canada. In 1972, she was elected to the Legislative Assembly in British Columbia, making her the first black Canadian woman to be elected to a Canadian provincial legislature, where she served until 1986. In 1975, Brown became the first Black woman to run for leadership of a Canadian federal party, finishing a strong second in the election. In 1987, she was the Ruth Wynn Woodford Professor of the Endowed Chair in Women’s Studies at Simon Fraser University. In 1993, she was appointed Chief Commissioner of the Ontario Human Rights Commission, serving until 1996. Brown’s autobiography, “Being Brown: A Very Public Life,” was published in 1989. Brown received 15 honorary degrees from universities across Canada as well as the Order of Canada. October 3rd in African American History – Alfred Charles “Al” Sharpton, Jr.